Cook County Circuit Court Judge Anthony Lynn Burrell dropped out of high school but went on to earn a law degree from an Ivy League school and sit as a Cook County judge for 12 years. “There was nobody like Judge Anthony Burrell. He was just a great human being, and I think justice was well-served whenever he was on the bench,” said U.S. Rep. Danny Davis, D-Chicago, one of Judge Burrell’s early political supporters. Judge Burrell, 52, died of renal failure on Wednesday, May 14, at Midwest Palliative & Hospice CareCenter in Glenview, said his sister, Pamela. A West Loop resident, he had battled kidney cancer for many years, she said. Raised on the West Side, Judge Burrell left school after ninth grade after being bullied, his sister said. He eventually studied for and earned his GED certificate. He attended Loop College and Malcolm X College, where he studied criminal justice, before earning a bachelor’s degree in criminal justice from Loyola University Chicago in 1984. Judge Burrell received a full scholarship to Cornell Law School, getting his degree in 1987, his sister said. “His reputation at the law school was he had a sharp wit which could cut and enlighten at the same time,” Lee said. After finishing law school, Judge Burrell took a job as an associate at Riker Danzig, a large East Coast firm. The experience was short-lived. Judge Burrell worked briefly in private practice as a defense attorney in Chicago before signing on as an assistant Cook County state’s attorney in 1989. He remained there until 1994. He worked for a time at Maryville Academy, a group care home for troubled youths. He also made two unsuccessful bids to be a Cook County circuit judge. Judge Burrell took a job with Chicago Public Schools, working for several years in school and community relations. In March 2002, he won a Democratic primary race for Cook County Circuit Court judge, and he then won a seat on the bench in the general election that November. “Anthony was one of the most sensitive, kind, what-you-see-is-what-you-get people around,” Davis said. Judge Burrell was unsuccessful in his Democratic primary bid in 2010 to become an Illinois appellate judge. 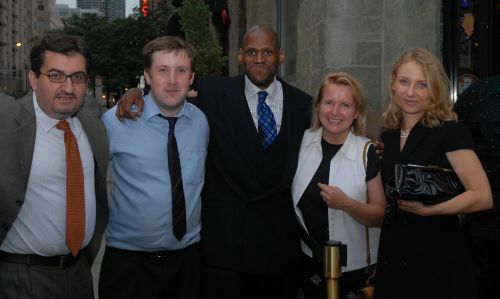 In 2009, Judge Burrell started a cable TV show, “Have Gavel, Will Travel,” aimed at bringing justice out of the courtroom and into the classroom, to educate schoolchildren on subjects like criminal justice, violence prevention and neighborhood safety. A marriage to Charman Shields Burrell ended in divorce. In addition to Pamela Burrell, Judge Burrell is survived by another sister, Lavette Bradford. 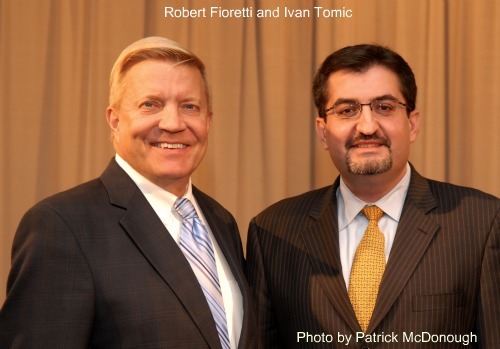 Alderman Robert Fioretti guest on Chicago Clout with Ivan Tomic, host. Everyday is a great day for Chicago when Alderman Robert Fioretti is on the job for Chicago’s 2nd Ward. Robert Fioretti enjoyed a half hour with Ivan Tomic tonight at Chicago’s CAN-TV. I hope all of Chicago watches the hard work by Chicago citizens at Can-TV. Show produced by Patrick McDonough.